If you find yourself shopping for the family music aficionado (or maybe you’re spoiling yourself this year), high-end earbuds for music are likely at the top of the wish list. Many will scoff at the $150+ price tag on new buds. But if you are committed to pulling the trigger on a pair of these (or these, if you print money like a Rockefeller), please be aware that you can protect your holiday investment with this great little stocking stuffer: the Nest Earbud Case. The Nest Earbud Case has racked up 150 Five Star Reviews on Amazon, so we seem to be doing something right. The Nest was developed to solve two of the most nagging consumer issues: Tangled and destroyed headphone cords. This case was built to multi-task both cord management AND cord protection. Perhaps I got a little ahead of myself with the plug for the Nest. If you understand the importance of a reliable and practical earbud case, here are the universal features that you must consider before buying a case for headphones. 1. Protection – What’s the point of an earbud case if it cannot protect every element of a pair of headphones? You have the cord, the buds themselves, volume control, microphone, and the “joints” holding them together. If any part of these is exposed, you’re risking damage or getting caught on something. 2. Ease of Use – The moments of taking out earphones and putting them away are crucial to the listener. 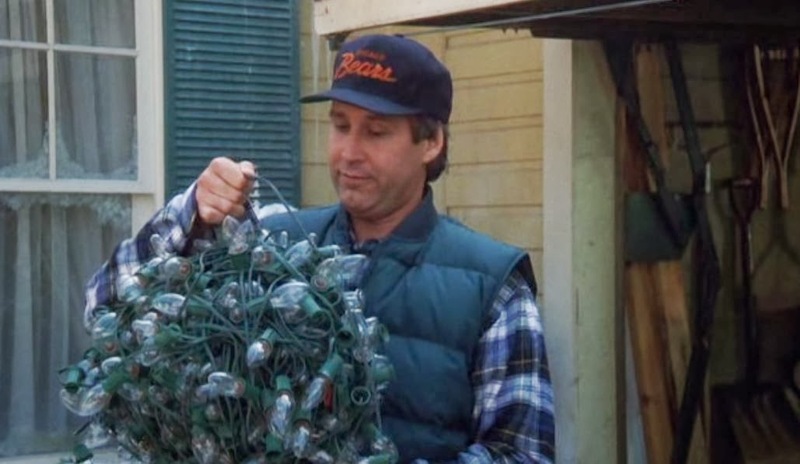 If it takes any longer than ten seconds to wrap or store earbuds, that person is going to be annoyed. Everyone that makes earbud cases tends to go for quirky designs over practical. 3. Tangle Prevention – Case or no case, if the process of storing and unwrapping earbuds produces tangled earbuds anyway… then what is the point of the case? Anyone can just wrap a cord around his/her finger and call it a day (or credit card… *cringe*). If you’re going to invest in earbud protection, make sure it solves the tangling problem above all. …as will be your family music lover when he/she reaches deep into the depths of that romanticized sock and pulls out what looks like a mix of a frisbee and a small throwing star. “What is this thing?” It’s the Nest Earbud Case, and it’s going to rock your world. Never replace a pair of expensive headphones again. Until 12/3, we’re running a FREE SHIPPING promotion on the Nest if you order it from us directly. Happy Holidays, and safe shopping this season! What if I already have the Nest? Than you should look at the world-class phone cleaner. Or how about this mysterious speaker? No…? Okay, Mr. Picky – better go with video game system wizardry. This entry was posted in Blog and tagged earbud case, Earbud Storage, Holiday Shopping, Tangled Earbuds, the nest.